Undercrown Flying Pig by Drew Estate First, there was the legendary Liga Privada Flying Pig, a uniquely shaped, short and stout perfecto with an appropriate pigtail cap. Next, came the T52 Flying Pig, using the same vitola, both cigars became wildly popular, being available in very limited quantities. After the release of the new Liga Undercrown line in 2011, the next logical step was to give the cigar the 'pig treatment', but the cigar didn't receive distribution to the US, being exclusively sold to the Netherlands region. Now, after years of waiting, the cigars are finally being released to the US market! Due to the difficulty of rolling such a unique vitola, the rolling process is limited to just one pair of trained rollers, making the cigars extremely limited. 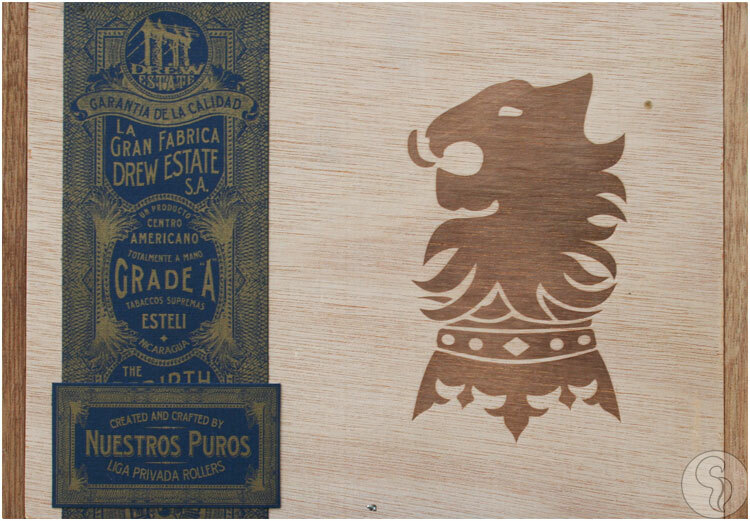 Described by many as one of the best and most satisfying Ligas ever produced (Undercrown or not), the Undercrown Flying Pig is a rare treat that every cigar enthusiast and collector alike should strive to have in their humidor. Expect immaculate construction and rich flavors of earth, chocolate, coffee, pepper, and vanilla - think of your regular Undercrown experience and multiply it by tenfold! *No promotional codes or offers available with these items.